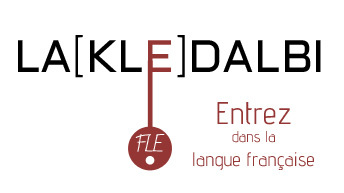 Intensive French lessons for foreigners, 3 hours a day from Monday to Friday 15 hours a week in the classroom. Lessons take place from Monday to Friday from 9am – midday or from 14pm to 17pm. 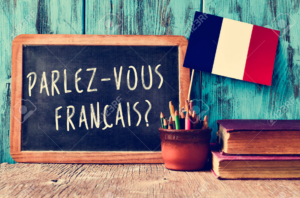 Learning French in small groups of a maximum of 4 students of the same level will enable you to progress quickly because you will be frequently encouraged to participate and will benefit from more personalized attention and guidance. The objectives and the contents of the lessons are adapted to your level and your needs. 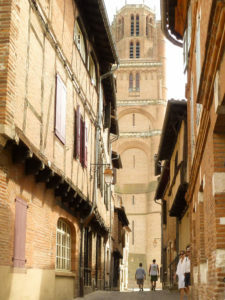 As well as to learn expressions and phrases which are associated with the French language. The contents of my lessons are based on a variety of themes relating to your level, your needs and your project. They correspond with what is expected of the A1 (elementary) level to the C2 (proficient) level defined by the Common European Framework of Reference for Languages (CEFRL). My teaching methods are based on the Common European Framework of Reference for Languages (CEFRL) which advocates that languages should be learnt using an « active approach » (1) and « intercultural approach » (2). (1) active approach : you use cognitive, cultural, linguistic skills to follow a project which gives meaning to the learning process. (2) intercultural approach : based on the experience of alterity, putting your own culture into perspective, putting your point of view into context. 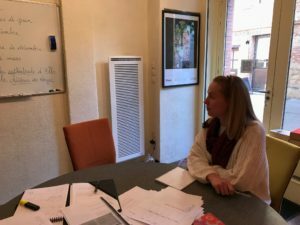 I mainly use authentic documents: audios (extracts from radio broadcasts, interviews…) , videos (debates, documentaries…) or written documents (news articles…).